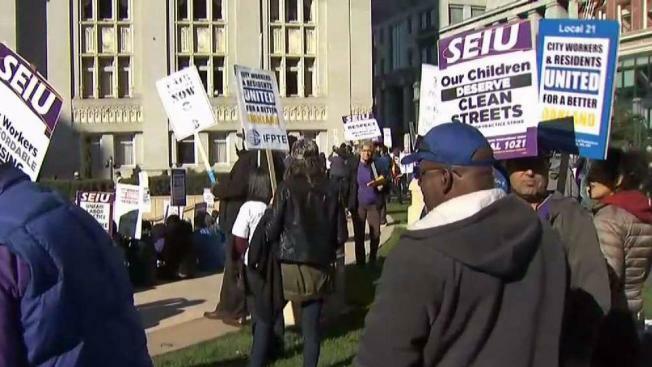 About 3,000 Oakland city workers are on strike and picketing for a second day after failing to agree on a new labor contract. Pete Suratos reports. International Federation of Professional and Technical Engineers Local 21. The Oakland City Council held a closed-session special meeting Tuesday afternoon to discuss labor negotiations. They're also objecting to mandatory overtime for emergency dispatchers — a group represented by the unions involved — and reliance on part-time employees.